The American Gaming Association (AGA), has announced its plans to oppose any attempts to create federal-level legislation in the United States regarding sports betting. The AGA’s plans come in the form of an open letter to the US Congress and an accompanying press release detailing the lobbying group’s preference for state-by-state regulation, which the AGA believes is a better and more efficient solution. 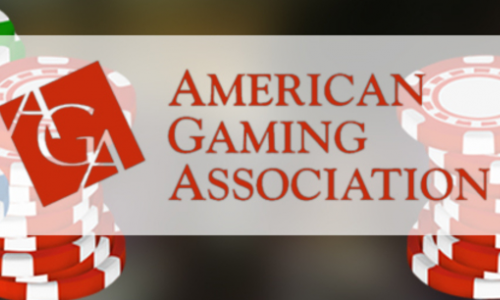 The American Gaming Association’s stance poses direct opposition to last week’s pronouncement by US Senator Orrin Hatch (R-Utah) that he would soon introduce new federal-level legislation to partially replace PASPA, the wager-banning federal law that was nullified in a Supreme Court decision less than two weeks ago. Hatch is the only surviving Senator of the four lawmakers who sponsored the original PASPA bill back in 1991. Comments issued as part of Hatch’s announcement included a “race to the bottom” fearmongering slap directed at individual states, and also to serve as justification for any federal-level effort. The major US sports association who lost the lengthy Supreme Court battle that brought PASPA’s demise likely see a federal framework as a way to get some of their wishes in as efficient a manner as possible. Though not specified in Hatch’s earlier announcement, that is all but certain to include a revenue stream directed toward the leagues. Whether as an “integrity fee”, a “data rights fee”, or some other conglomeration, those demands point to the true core of the US sports betting conundrum. Finding a way to insert such a fee into a federal framework may be the leagues’ last, best chance at grabbing a slice of the sports-betting pie. Many of the states don’t think so, and in lieu of the lengthy federal ban, are likely to loathe further federal interference and infringement. The AGA steers just wide of that looming battle, instead arguing that the states are experienced in handling gambling matters. “In the wake of the Court’s ruling,” the AGA’s open letter to Congress offers, “some have called for Congress to enact a federal framework to regulate sports betting. AGA believes this is unwise, unnecessary and out of step with public sentiment indicating 7 in 10 Americans think this decision should be left to each state, not the federal government. “The gaming industry is already one of the most-regulated in the country, and state and tribal regulators have decades of experience effectively overseeing gaming operations within their jurisdictions. Some form of regulated gaming and/or lottery now exists in 48 states, and in FY 2015 alone, the 24 commercial gaming states spent more than $600 million at agencies committed to ensuring the probity and integrity of casinos’ operations. The regulations currently in place in every jurisdiction already address issues like age restrictions, record keeping requirements and licensing and suitability determinations, among others. On top of that, the gaming industry is already subject to stringent federal anti-money laundering regulations and has a strong record of compliance in that area. The American Gaming Association’s letter also asked Congress to reexamine the 1951 excise tax that was instituted on sports betting. Originally that tax was created as a federal poison pill designed to spoil Nevada’s early sports-betting plans, but that state successfully sued to have the tax trimmed to a viable level. It’s been trimmed more than once, but today Nevada’s sports books still pay a tax of 0.25% on the total handle of all wagers placed to the federal government.